Meher Pudumjee is the Chairperson of Thermax Ltd, a company focused on providing energy and environment solutions. A postgraduate in Chemical Engineering from the Imperial College of Science & Technology, London, Meher joined Thermax as a trainee engineer in August 1990. A year later, along with her husband Pheroz Pudumjee, they took over the responsibility of turning around a Thermax subsidiary company in the UK. After her return to India in September 1996, she was appointed on the Board of Directors. With her interest in Finance, she worked closely with the treasury and working capital management functions of Thermax. She was involved with overseeing a Joint Venture Company in the area of drinking water as well as the Air Pollution Control businesses of the company. In January 2001 she became a non-executive director and was appointed Vice Chairperson in 2002. During this period she played an active role in the turnaround of Thermax. Meher took over as Chairperson of Thermax on October 5, 2004, after the retirement of Mrs. Anu Aga. Meher represented India at the Asian Business Women’s Conference in Osaka in 2006. The World Economic Forum in 2008 selected her as a Young Global Leader for her professional accomplishment, commitment to society and potential to contribute to shaping the future of the world. 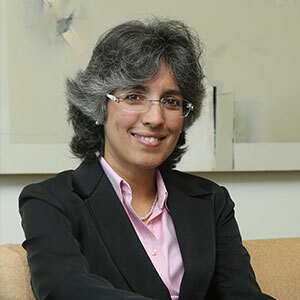 She was selected CEO of the Year, 2009 by Business Standard. Meher served as the Chairperson of Pune Zonal Council of the Confederation of Indian Industry (CII). When a member of CII's Young Indians, she chaired the National Employability initiative. She is also on the Board of Imperial College India Foundation, Shakti Sustainable Energy Foundation and Pune City Connect Development Foundation. Committed to the cause of educating the underprivileged, she works closely with NGOs operating in this space. She is on the Board of Akanksha Foundation and is a Trustee of Teach to Lead, Mumbai. Meher has a keen interest in music, especially western classical and is a member of a Pune based choir. She lives in Pune with her husband and their two children.